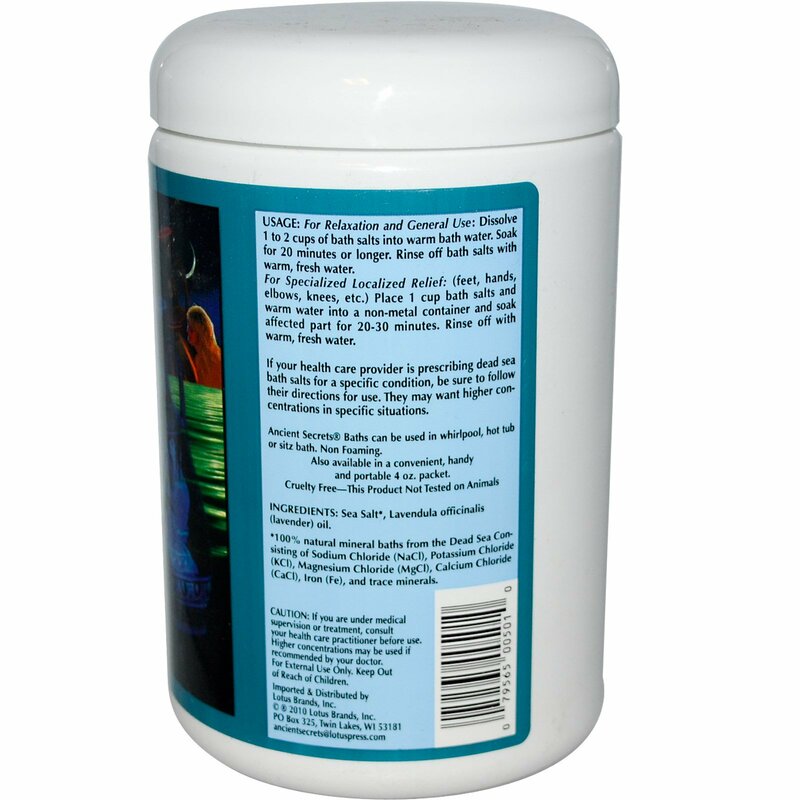 For Relaxation and General Use: Dissolve 1 to 2 cups of bath salts into warm bath water. Soak for 20 minutes or longer. Rinse off bath salts with warm, fresh water. For Specialized Localized Relief: (feet, hands, elbows, knees, etc.) Place 1 cup bath salts and warm water into a non-metal container and soak affected part for 20-30 minutes. Rinse off with warm, fresh water. If your health care provider is prescribing dead sea bath salts for a specific condition, be sure to follow their directions for use. They may want higher concentrations in specific situations. Ancient Secrets Baths can be used in whirlpool, hot tub or sitz bath. Non Foaming. Sea Salt*, lavandula officinalis (lavender) oil. 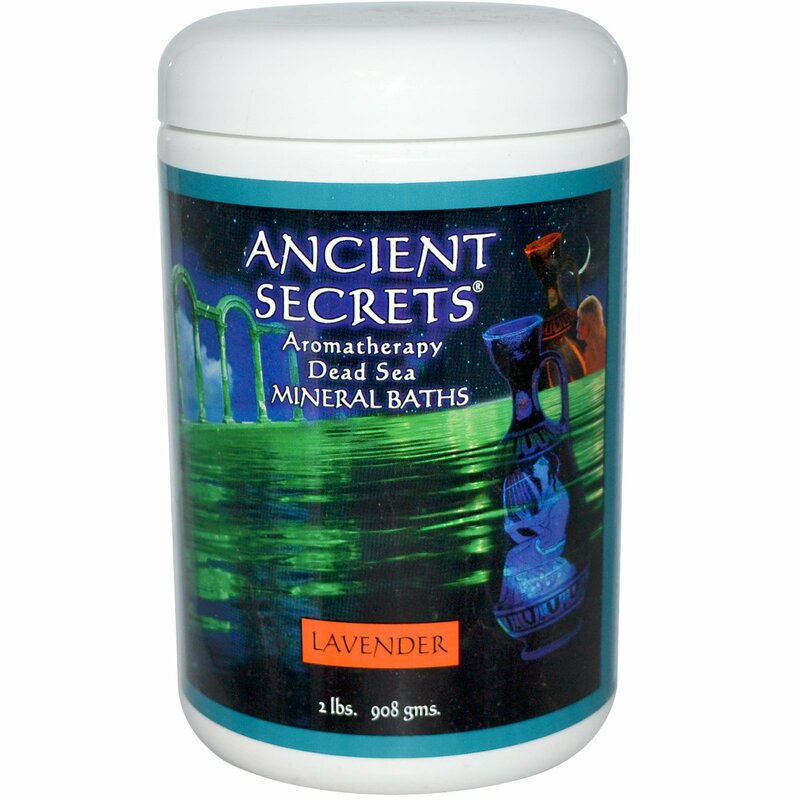 *100% natural mineral baths from the Dead Sea consisting of Sodium Chloride (NaCl), Potassium Chloride (KCl), Magnesium Chloride (MgCl), Calcium Chloride (CaCl), Iron (Fe), and trace minerals.